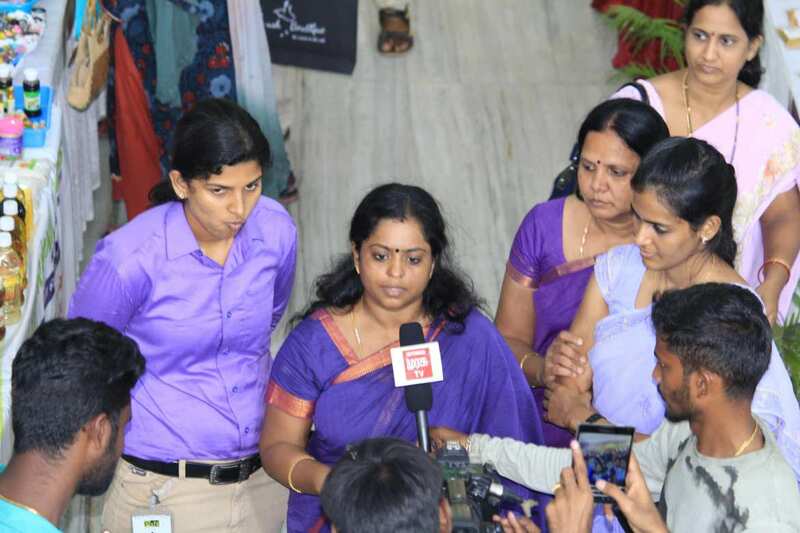 Our Women Entrepreneur Network is a non-profit initiative of former Civil Services Aspirants Nandhini Priya.N (advocate), Poorani.R (IT Professional) and a group of aspiring women. Being into Herbal Cosmetics and Food industry, we experience all hardships and struggles involved in growing a business. 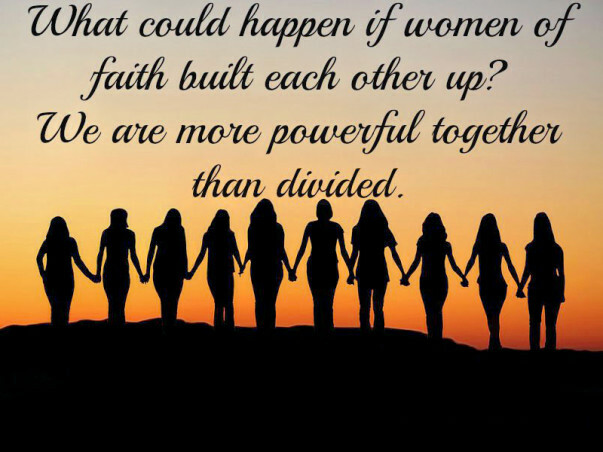 This gave us a push to form a network of aspiring and dynamic women who are into micro business. 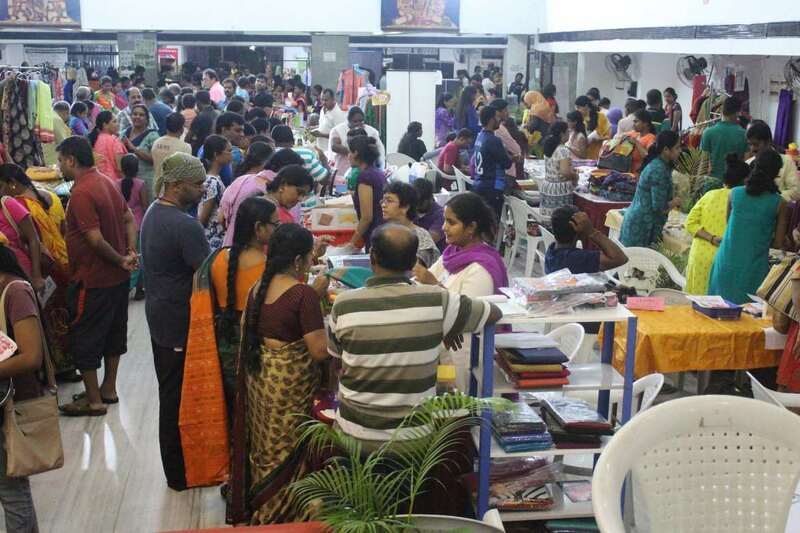 As a first step of this, we are organizing a Trade Fair for Women at Annanagar in the month of May. 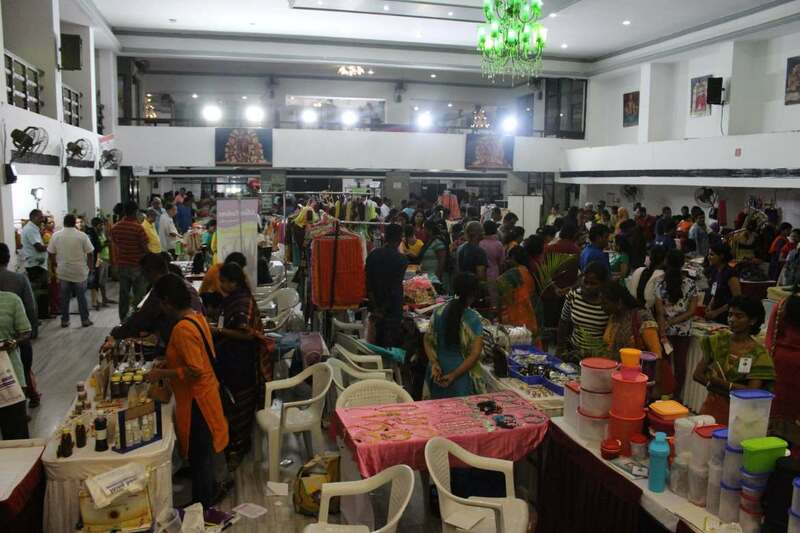 This Fair is a non-profit event which encourages women from small/home business to exhibit their products and services at a very minimal cost and expand their business. 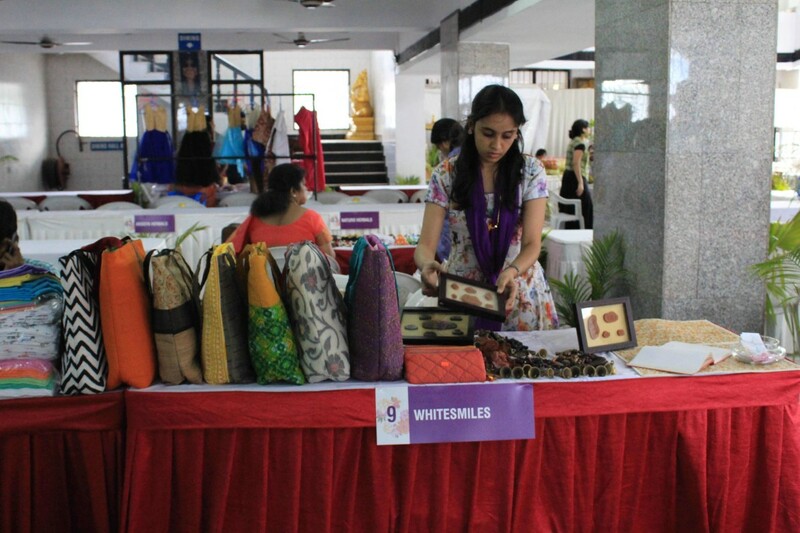 As a step towards inclusive growth, we also have women Self Help Groups exhibiting their stalls. 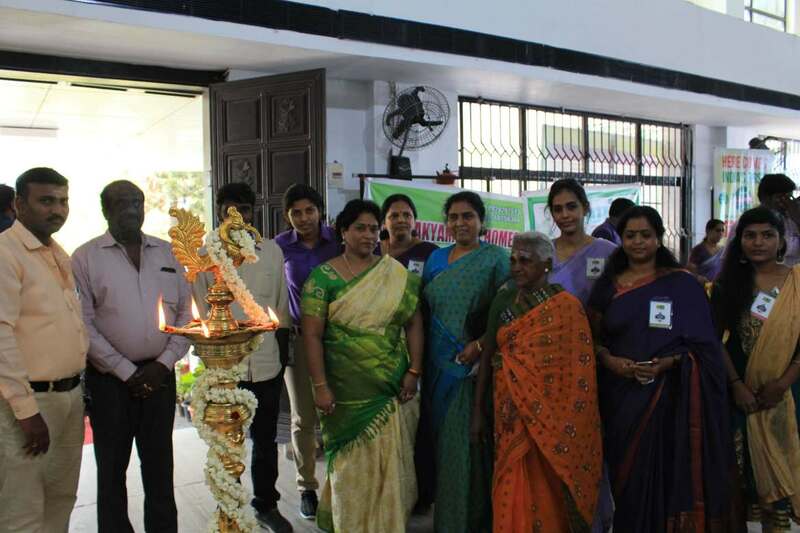 By taking part in the Fair, they become a part of our network as well. Bringing together dynamic and passionate women entrepreneurs of micro business and support them through all means to expand their business and achieve their vision. Monthly meet-up & Promotional Activities. Conducting group promotional activities, Trade fairs. Motivational Programs with guest speakers. Financial and legal assistance to our members. Counseling to our members upon request. WHAT DO OUR MEMBERS GAIN? Business Expansion and Customers reference. We would like to invite you to join us to support our cause. 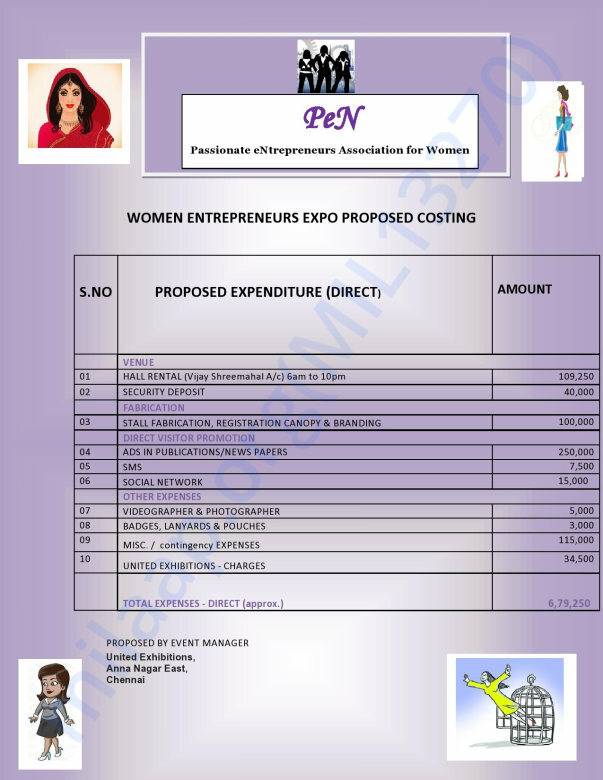 We have also hereby attached our proposed costing for the Expo.We treasure every amount you contribute. Thank you for the huge support. 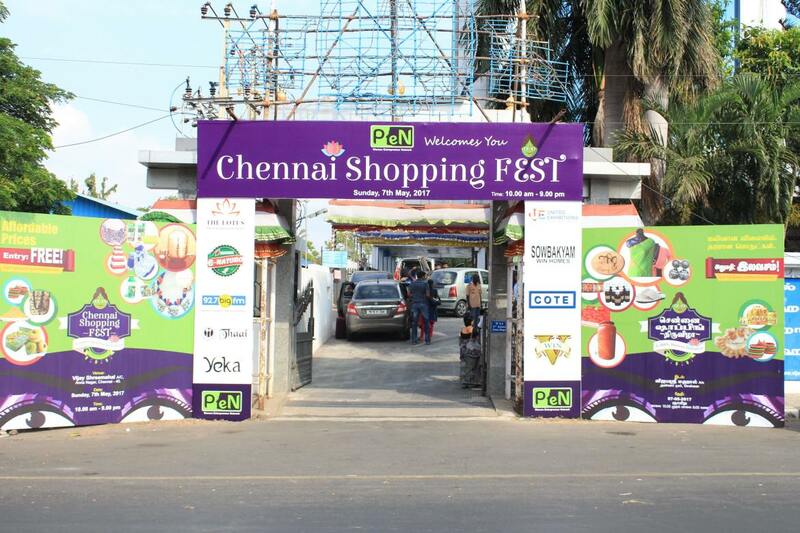 With the help of your support and wishes, the mega trade fair organized by PeN was a huge success.